Determined to providing transparency, trust and knowledge to guide online income earners. A unique way to view websites while advertising your products and services. A preferred site contributing to our membership loyalty program. 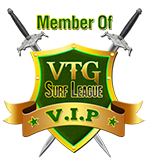 $1.00 Cash Prize per day to the top surfer! 4.00 Revenue Sharing Unit Prize per month to top sales lead. Earn every day, even days you do not login your account.